Today, our interest in "cruel and unusual punishment" centers on the death penalty. But, as made clear in this book, it has been viewed with different perspective in different ages. Medieval Christians saw the death penalty as a means of obtaining God's grace and treated execution with reverence whereas earlier and later generations saw it as a correction to vice and deterrent to others. Rarely has it been seen as retribution. And although the framers wording, with a one word exception, is copied from the English Bill of Rights of 1689, the framers were working with a different premise - an evolving notion of crime, proportionality and punishment. In this book, Robert McWhirter traces the complicated history that led to the juxtaposition of "cruel" and "punishment" in the Eighth Amendment from early Judaic law to the present day. This lively account is written for the interested citizen, as well as the civics student. Along the way there are surprising, and interesting, diversions into how the events and personalities surrounding the Eighth Amendment have appeared in literature, film, sports and popular culture. 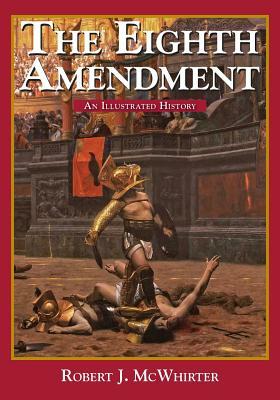 This book was originally published as chapter eight of Bills, Quills, and Stills: An Annotated, Illustrated, and Illuminated History of the Bill of Rights.